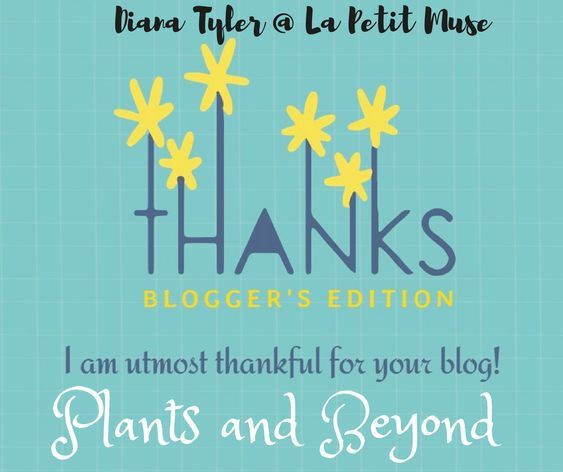 Thankful Thursday: Blogger’s edition #8: Ladies of the Garden! This generous post brought to me happy tears today. I am so grateful for Diana’s friendship and continuous support. Have to share the Thankful Thursday message-We are all interconnected, part of the karmic circle and pass on our feelings and energy from one being to another. Hope all of you, dear friends will derive joy and appreciation from this day. Lots of Hugs, Luda. I love Luda’s blog and today, I am utmost grateful for it. My friend Luda is extremely passionate about cooking, healing, volunteering, reading, and gardening among many other wonderful things. If you’re interested in creating your very own healing organic garden, she’s your gal. You can stop by her wonderful ‘About’ page and learn more about the woman behind the blog. What Does Your Garden Say About You? What does your garden say about you? Believe it or not, if you own a green space, it will always influence your wellbeing, inner thoughts, connection with earth and even your property value. Uneven spacing, messy items around the green area and its location all influence backyard's aesthetics and functionality. Here some interesting factors that will… Continue reading What Does Your Garden Say About You?